St Mary’s Cathedral is the mother church of the Diocese of Edinburgh in the Scottish Episcopal Church. We are part of the world-wide Anglican communion and thus have very close links with the Church of England, as well as our Presbyterian neighbours (the Church of Scotland). 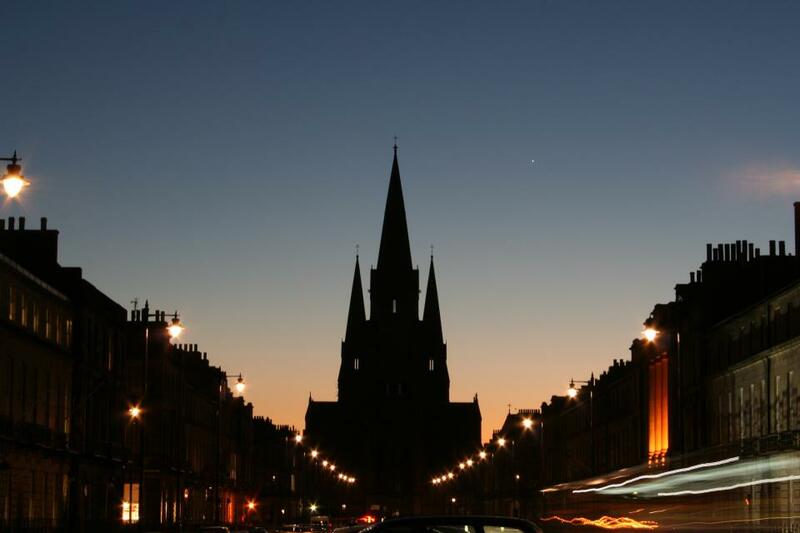 You can see our three spires from most places in Edinburgh, especially if you are on Princes Street and look west. The spires perhaps make you to want to look up. We hope they will make you want to make the short walk from Princes Street towards Haymarket. Every day our doors are open: open so that anyone can visit, can come in and be still, perhaps light a candle as a sign of prayer for someone in need or a special need close to your heart. Each day prayers are said, the Eucharist (Holy Communion) celebrated, God is worshipped. A place where a large congregation meets each Sunday, stretches out hands to receive the Bread of Life, or shares in the solemnity of Choral Evenosng. A place where young people as apprentice stone masons can learn old skills and care for our building through the Cathedral Workshop. A place where the work of Christian Aid and One World are promoted. A place which lets its buildings and site be used for the wider community: a nursery; a GPs surgery; outreach for those seeking mental health services; gardens for all to share.